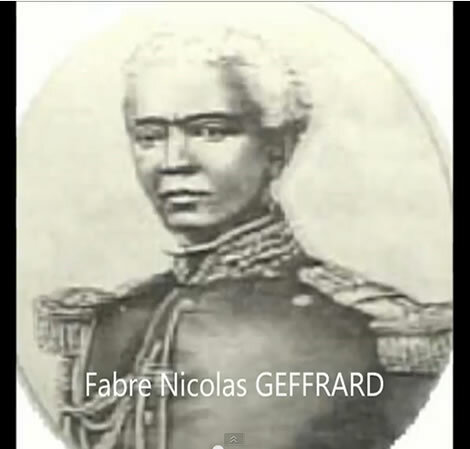 Fabre Geffrard, born September 19, 1806, ruled as president of the Republic of Haiti from 1859�'1867. His first act in office was to resurrect the Constitution of 1846 thereby making him president for life. Prior to assuming the presidency he served as Commander-in-Chief of the Army during Emperor Faustin I Soulouque's reign. Using his powerful position as a stepping stone, he forced the abdication of Soulouque when Geffrard moved to establish the Republic of Haiti in Gonaïves. The country rallied behind him and Faustin I surrendered the presidency to Geffrard when he realized he had lost the support of the populace.